I was originally going to make lime-basil ice cream because, well, why not? By the time I got to Wegmans to procure ingredients, the fascination with herb ice cream had worn off. I’m not entirely sure why, but I decided that I wanted sweet. During my produce department meander, I found myself in front of the banana shelf. The stack of ripe and browning bananas were calling out for me. So, I answered. Bananas and ice cream are not exclusive to banana split sundaes. (Side note: Invented by David Stricker in Latrobe, Pa., the original banana split was topped with pineapple. My question is why?) While my go-to at the ice cream stand was a cherry milkshake, I more often than not order a banana and chocolate ice cream shake. Why it hasn’t been adopted by the major ice cream makers as an ingredient is beyond me. It’s cheap, plentiful and easy to process. I tweaked my regular ice cream base recipe here, going from a mix of 1 1/2 cups cream and 3/4 milk to 2 cups cream and 1/2 cup milk. I wanted something with a thicker consistency that would stand up to the banana mash I was going to use. It’s certainly not a light or fluffy ice cream. As for flavor, The Wife called the flavor, “Very bananaee.” Profound stuff. 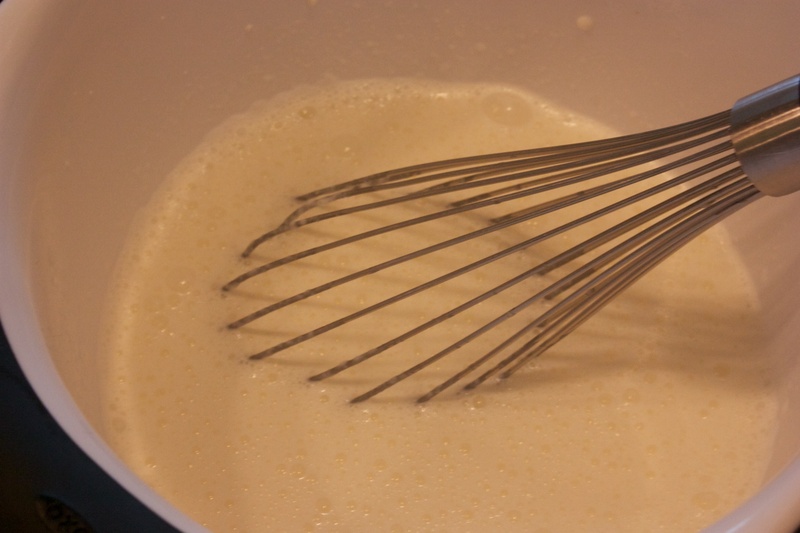 In a mixing bowl, whisk together the first four ingredients until the sugar is dissolved. Set aside. Divide one banana in half and separate. 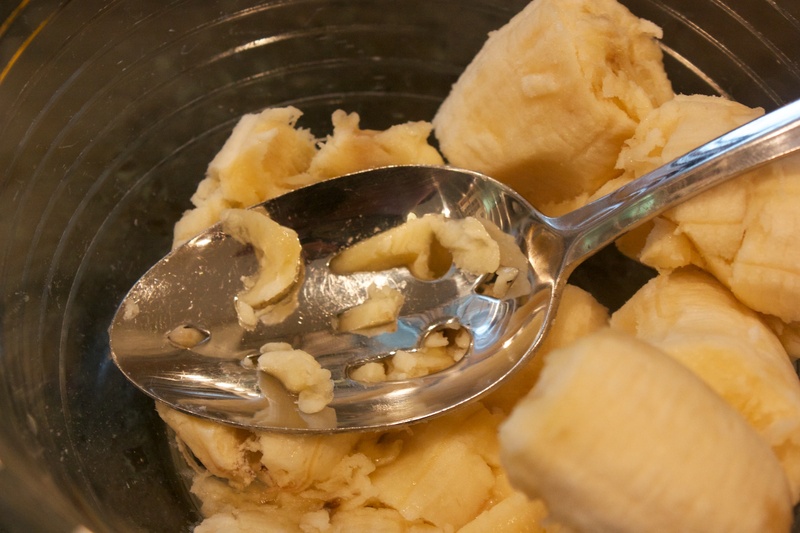 Chop one half and one whole banana into chunks and add to a small bowl. 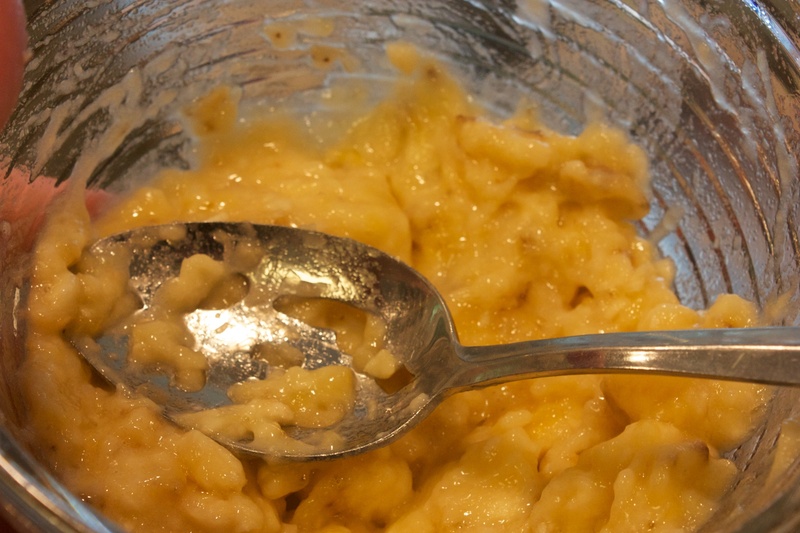 Using a fork or back of a spoon, mash the banana into a paste. The paste doesn’t have to be smooth, but it should not be overly chunky either. 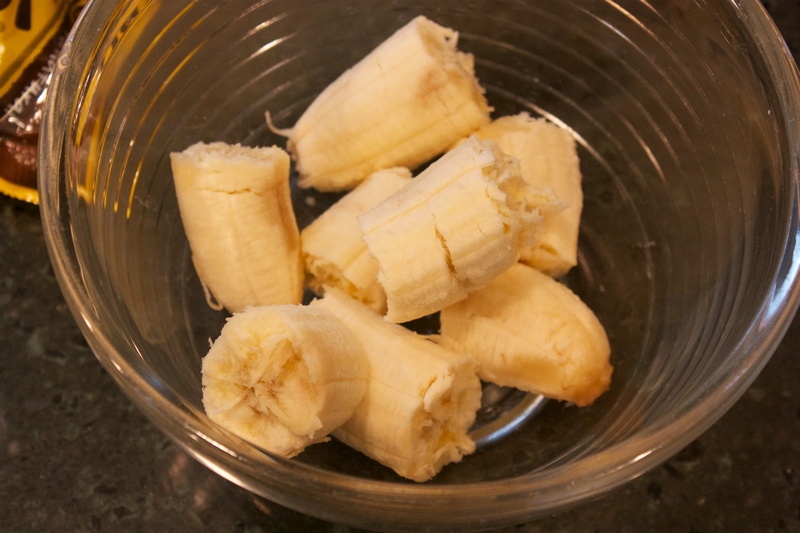 Then, slice the remaining banana into thin slices. 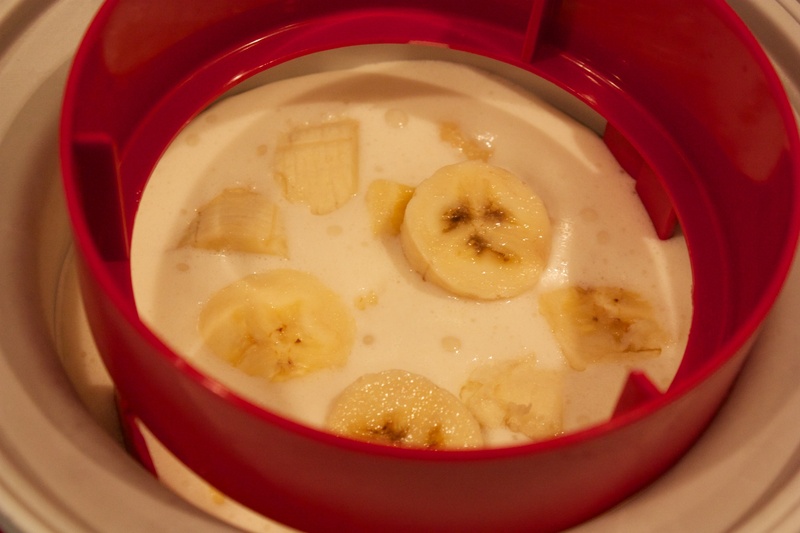 Whisk the banana mash into the ice cream base until well combined. 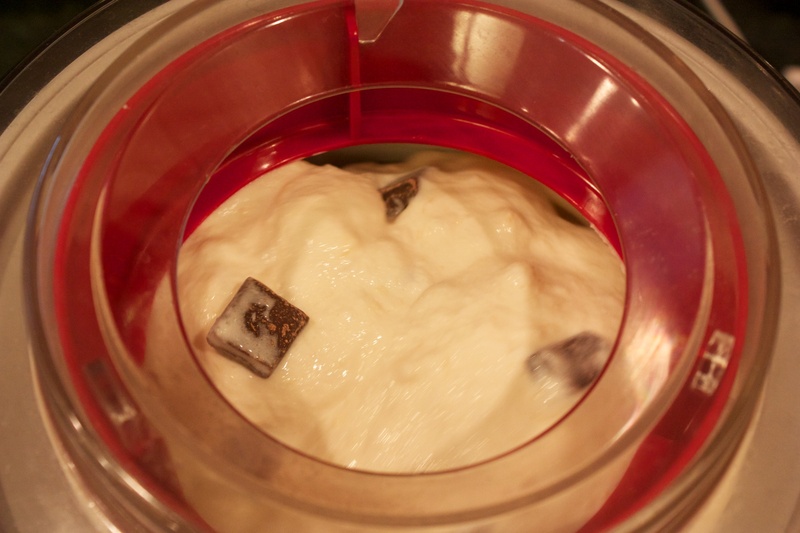 Pour into the bowl of your ice cream maker. 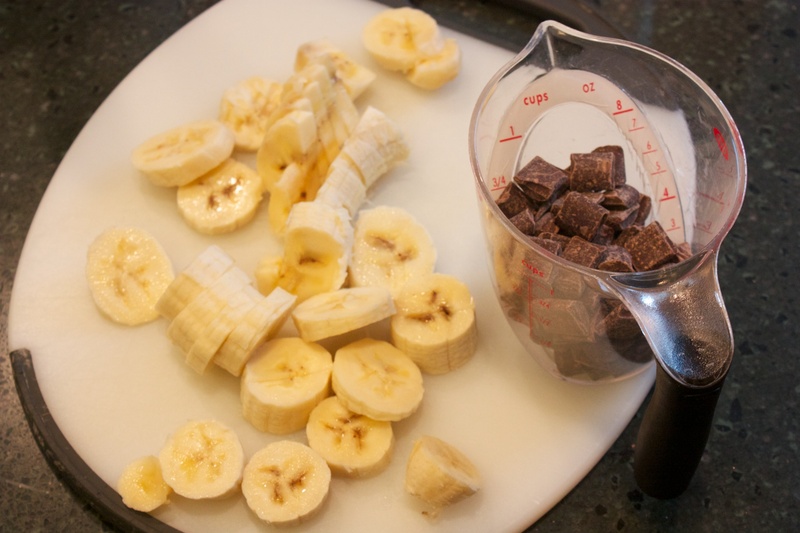 Add the banana slices and turn on. Run for 20 minutes, or as recommended by the manufacturer. With five minutes remaining, slowly add the chocolate chunks so they evenly distribute throughout. Transfer the ice cream (it may be a little runny yet) to a freezer-safe container and freeze (slightly uncovered) for at least four hours. Pingback: Chocolate Chunk and Marshmallow Sundae Quick and easy and delicous.